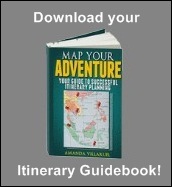 Here's an easy introduction to the Cambodian culture! Cambodian people are friendly and open towards foreigners. The years go by and they get more and more used to tourists and backpackers. It's easier to "blend in"
... If you do make a mistake - apologize genuinely with a smile. No one's perfect. Everyone can make a mistake. As long as you know that you made a mistake and do something about it - you'll be alright. "How are you?" =Ter niak sok sabai? Learning local phrases is a good way to break the ice, like if you're in the store and just buying some snacks, or when a local approaches you and want to start a conversation - their smiles when you say those words in their mother tongue is just... you can't buy that kind of happiness!!! Pssssst! When you read the tips below on Cambodia Culture, have in mind that the society in Cambodia is hierarchical. Picture the monks and the elderly on the top of a pyramid, while the younger ones are on a bottom/mid level. The traditional way of greeting locals, called Satu, is to bow your head and bring your hands together at chest level, like if you were praying. When you meet monks and elderly locals, initiate the Satu. If they don't Satu back, don't be offended. 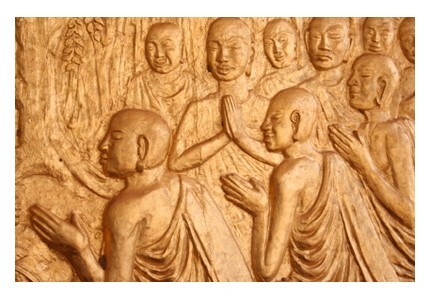 The monks share the same status as the King and the Buddha. Don't Satu to locals who are considered as inferior (hate to write that word, but then again... HIERARCHY). That would be servants and alike. And don't need to Satu to people who are younger than you. They should be initiating the Satu. When a local introduces himself/herself, it's common to use that person's first name. Not their family name. Don't touch anyone on the head, especially the elderly. Don't point your feet at a person and certainly don't put them on the desk. Cambodians will try to avoid confrontation in arguments or conflicts because they have an idea of things must be in harmony. That's just part of their Cambodia culture. They will either walk away or just smile at you while you're trying to argue with them. First thing first: Don't raise your voice (at least not in public) and don't get angry. Do as they do, and just walk away. 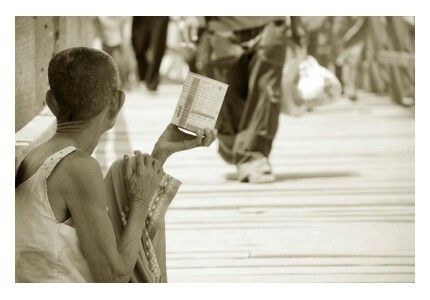 The Cambodian people (young and old) are very curious and many of them can't speak English. They will sometimes stop or walk to you just to exchange some English words. Be polite, smile and take some time to talk to them. It's the easiest way of getting to know the locals and how they live. 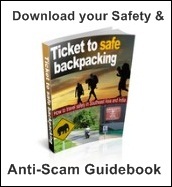 Most backpackers are excellent at researching the country they're visiting. But in my opinion, it is always better to hear it from the locals how the Cambodian people are, rather than just reading about it in the Lonely Planet. When you're visiting the rural areas of Cambodia, you'll notice the heavy poverty. You will experience that packs of children approach you and reaches out their hand - looking at you with their dark brown eyes. Many poor families send their cute children to do the dirty job, which is beg for money. This is a common sight. Be prepared. If I were you, I wouldn't give these children money. It's logical that parents take their children out of school if they can get quick money by sending their children. Instead of giving children money, carry pens and notebooks so you can give it to them. Take off your shoes before entering someone's home and even some guest houses. If someone was to visit your home, you would most likely appreciate that they didn't bring dirt into your house. If you're giving a gift, don't be offended if they don't open the gift right away. Gifts are to be opened in private. Don't pass objects over the head (like when you're passing food). And when you pass something, use your right hand. But use both of your hands if the object requires special respect. And remember that you receive objects with both of your hands. Eat with your right hand. Try not to eat or touch the food with your left hand. Cambodians, among other nationalities in Asia, use their left hand when they've finished their business in the toilet. The first time I experienced that tipping is not expected at low-cost restaurants was in Battambang. I was ready to pay for my meal at White Rose Restaurant. I left a dollar and the waiter ran after me to give it back. But I've noticed that it's common to give 5-10% at mid-priced/expensive restaurants. Like, in Siem Reap, some travelers would leave tip after they had their meals at the pricey restaurants. Locals will usually eat their lunch and dinner while sitting on the floor. Don't walk over them or the food. Walk around. 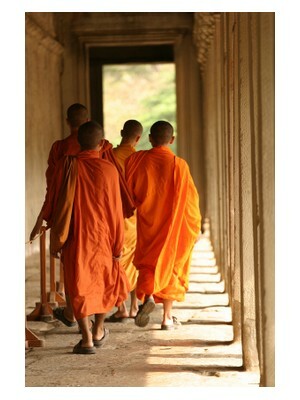 For female travelers: don't touch the monks or the robes of the monks. It's strictly taboo. They are the most important people in the country! Legs should not be crossed in the presence of monks and elderly people. Place your legs beneath your body or on the side. Treat the Buddha statues with respect. Bow and join your hands - it will be appreciated. And you should not of course touch them. It's common to light an incense stick as an offering to Buddha. Foreigners are not required to do this, but I can't come up with any reason as to why you shouldn't! When visiting the Angkor temples, like the Angkor Watt, old ladies or even monks will offer you incense sticks. Be polite and just light it. This applies for every country in Asia, but do dress properly when you enter a Wat (temple). Cover your shoulders by wearing a t-shirt or use a sarong. And try to avoid shorts and short skirts. When visiting the Angkor Temples, don't touch the bas-reliefs (the carvings), the walls etc. These temples have been around for thousands of years. Touching causes deterioration! Always ask before taking someone's picture. The famous hill tribes of Cambodia are called Khmer Loeu, which are non-Khmer highland tribes. The Khmer Loeu can be divided into 13 distinct minority groups and they can be found in Modulkiri, Stung Treng and Ratanakiri. These exciting and reserved hill tribes come from a different cultural background than the Lowland Cambodians. This means that they have different customs, appearance, religion and survival strategies. When I read about the Khmer Loeu, I found some interesting stuff about their culture! Khmer Loeu believes that magical spirits inhabit the nature world? They even have sorcerers who control the weather! Khmer Loeu was recruited as Khmer Rouge soldiers? When the children of Khmer Loeu (boys and girls) become 5-6 years old, they start working at home helping out with chores? And even the boys do the gardening! It seems like there's no clear distinction between the sexes. Like with every person originating from Southeast Asia - they try to avoid conflicts in their everyday life? 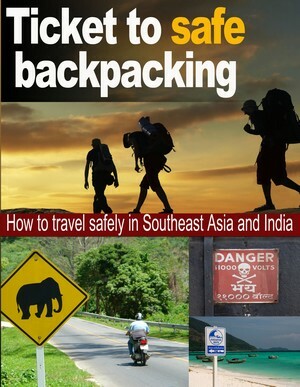 Do you want to know more about backpacking in Southeast Asia? What about the history of Cambodia?